Looking for some info on NASM and personal training, along with my journey to becoming a personal trainer? Well then you’ve come to the right place! How was your experience studying for NASM? Do you feel like the textbook and online education materials prepared you to really go out and train clients? My experience with NASM was great, and you’re right in the sense that it is definitely more science based. I would say with 100% certainty that the online study materials helped a ton, and they were AWESOME in preparing for the exam. Honestly, I didn’t even open them until I was almost completely finished with studying the book, and I used the online resources mostly for when I was getting ready to study for my exam. What’s great is that you can take them over and over again and the questions change up every time (for the most part). The format is even the same, so when you go to take your exam, the screen will even look similar. The questions are obviously different, but it was nice to get a heads up on the types of questions and different wording that is used. As for them helping me actually train clients? Yes, but not 100%. As it is with any job (I often think back to when I was student teaching in college for my education degree), you can only learn so much until you’re actually thrown to the wolves. I definitely had a foundation of knowledge, but for only being in the field a little over three months, I’ve already gained so much more from just being there and learning from others along the way. What factors did you consider when selecting the NASM certification? Did you consider any other certifications and if so, what made NASM your choice? How do you deal with clients that can be pushy/demanding/mean? Do you send them to another trainer or do you make their workouts even harder? I’m pretty lucky – all of my clients have been very easy to work with! Do you have any recommendations in terms of studying or anything that helped make it easier/more efficient for you? Yes! I made flash cards for each chapter and grouped those using key rings that I purchased from Target. This made studying a whole lot easier, especially since the amount of flashcards I ended up with in the end was a little outrageous. For some chapters, I found it easier to just write notes out (plus I ran out of index cards), so I also had a notebook as well. Both were extremely helpful. I took the online practice quizzes and tests…A LOT. 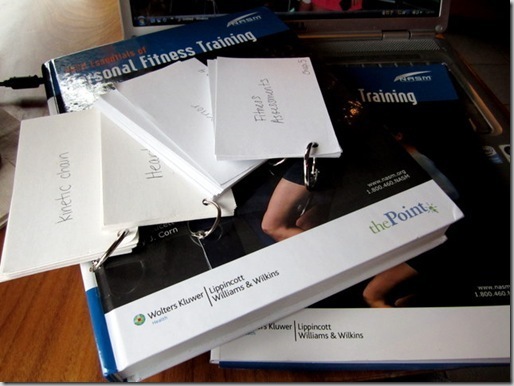 I didn’t end up utilizing these resources (which are available to you through the NASM website once you purchase your materials) until the last couple of weeks, but that worked for me. The great thing about them is that you can take them over and over, and the questions will vary each time. It’s a great way to get familiar with the material and test format. How many hours per day/per week do you think you studied before the test? I spent about 3 1/2 months studying for my NASM exam. Because of my personality and how I learn, I’d say that I probably learned more in the last two weeks of studying than I did throughout the whole 3 1/2 months. I’ve always been a “crammer” and it just seems to stick with me better that way. I tried to work for at least an hour, 4-5 days a week. I went ahead and got my NASM PT book (so excited, a little nervous). I wanted to ask you if there is anything in particular I should focus my studying on? Congrats on ordering your book! That’s so exciting (and I get ya on the nervous part too). Out of the entire book, I’d say that the things I focused on the most were: the muscles and their primary function (chapter 4), the chart on page 169 (it WILL be on the test! ), chapters 12 (resistance training), and definitely chapter 13 (program design – you’ll want to know the goals and acute variables of each phase). 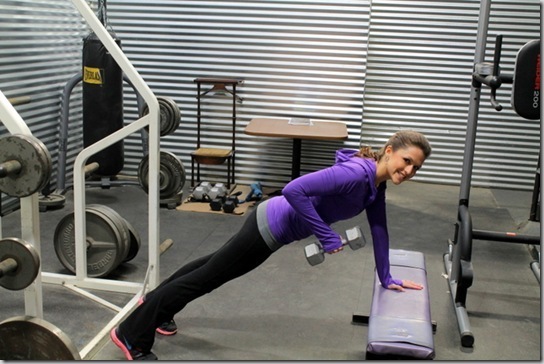 Also, be familiar with the different exercises that are in the flexibility, core, balance, reactive, and SAQ chapters. 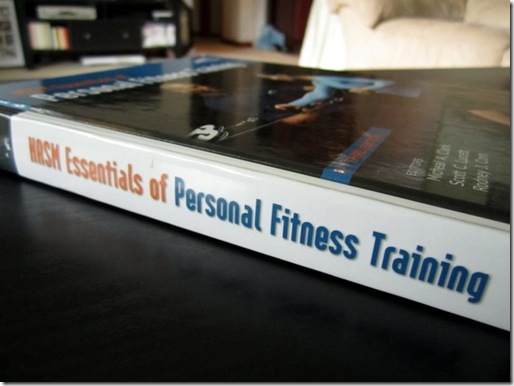 Does getting your personal training certification only involve studying and taking a test? Technically, yes. I studied, arranged for my test date, got my CPR/AED certification, and then took my test. NASM Does offer an optional live workshop, but I did not opt for that since there were no workshops in my area. Have you found the job market to be growing? Well, that’s a tough call since I really only work in one spot. 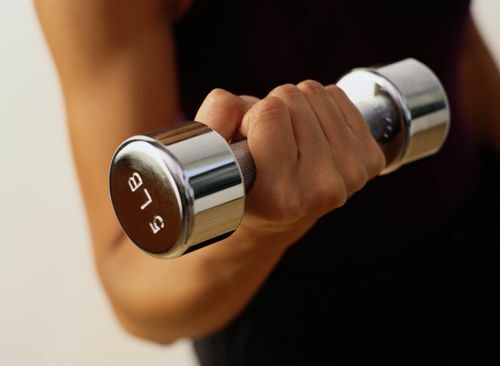 I know that my gym is not currently hiring anyone new, but from what I’ve been reading, it appears as though there is somewhat of a rise in demand for personal trainers, as there’s beginning to be more and more of a focus on health and fitness. Yippee!! Did you find it difficult to get hired on at a gym right away? About how long did it take you to actually find a training job after getting certified? I was very lucky in the sense that I already sort of had my foot in the door before I even began studying. I ended up talking to another trainer one morning at my gym about my thoughts on beginning the process. He let me borrow his book for a few weeks to make sure it was something I wanted to proceed with. Once I made the decision, I continued to keep in touch with him throughout my studying and by the time I had finished and passed my exam, I was offered a job. He said that he truly appreciated and admired how hard I had worked at getting my certification and he saw that as a good indicator of how I’d be as a trainer; perseverance totally pays off! I’m a very extroverted person and love working with people and helping them-do you feel like this is a rewarding job in those terms? Absolutely, 100%. The main reason I loved teaching so much was because it was such a rewarding experience; you help someone learn something and then you continue to watch them grow. Even though it’s an entirely different setting, the foundation for helping others is still there; I’m still teaching them something and helping them learn, and then I get to watch them grow…or shrink. Do you have to find your own clients or does your gym have training coordinators who set you up with them? A little bit of both. We have a person at my gym who coordinates many of the fitness assessments with members. From there, if the member is interested in training, he’ll try to match up the member with the trainer that would best fit his/her needs. I also have to find my own clients, which I’ve done, but I’m still working on the “selling” aspect. It’s not my strong suit! Do you get paid by the number of clients, or do you get paid salary? The salary of a personal trainer, from what I’ve experienced, can be a little tricky and can vary a lot depending on where you work. For me, when I first started at my gym, I was paid a flat, hourly rate. I did not get extra for my clients during this time, only the hourly rate. After my first 3 months were up, I began getting paid on a client-by-client basis, not salary. With working at the gym, I make 50% of what the client is charged (the other 50% goes to the gym), but I know this isn’t always the case everywhere you look. Honestly, the pay is low to start. It’s definitely a process to build your clientele and it takes some time. I’m still working on it! So I’d say that if it’s something you’re considering, then make sure that you have another sort of income as well. I don’t say that to discourage anyone, but it’s just definitely something I think someone who is considering going into the field should know. Most training sessions are one hour, but some clients prefer to break them up into half hours, which is something that we discuss together. Do you ever regret or miss teaching? Regret it? Not once. Ever. Miss it? Sometimes. I always enjoyed working with children and the satisfaction you get from teaching someone how to do something and then finally seeing him/her succeed. In a way, I’m still sort of getting that satisfaction, just in a different setting. Maybe now I just have to figure out a way to incorporate kids again?